This is a rectangular Osram Electric Lamps porcelain sign. This particular Osram Electric Lamps sign is predominantly yellow with blue text. 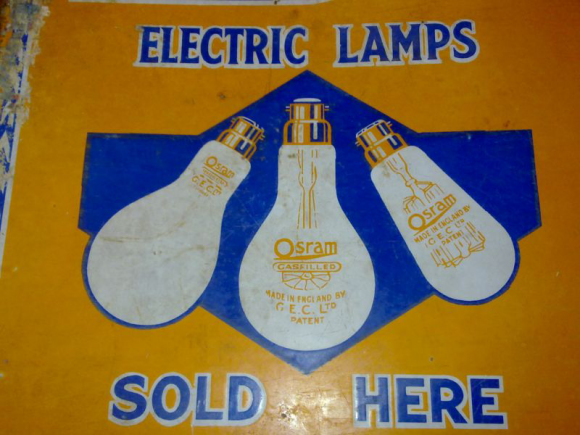 It reads, “Osram Electric Lamps Sold Here, Made in England by G.E.C. Ltd. Patent” and features three styles of light bulbs in the center.